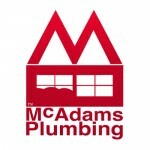 Ian P. Review 01.04.15 - McAdams Plumbing, Inc.
Sunday morning – no hot water – We got a call back inside 5minutes – three quick questions and then they walked me through the process of relighting the pilot (I had tried and failed so was a little skeptical) – and voila… solved. Thanks for taking the time to help over the phone and save us the call out fee. I was so convinced on the part I needed – I would have forked out the fee and price for the part … that’s real service. 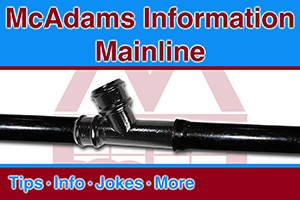 We noted the number in our file and will use McAdams for pluming from here on out, as a result. Thanks so much for the great review Ian! We’re just very happy we were able to get you taken care of so conveniently. We’re happy to help in any way we can so please feel free to call us if there’s ever anything you need in the future. Thanks again. Customer Review Camy Rea Review 07.25.14 Amazing service! Chris does the best work! I high recommend them! 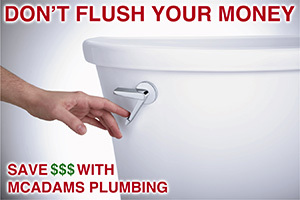 McAdams Plumbing Response: Thank you so much for the kind words Camy! We’re so excited to have you in the McAdams Family. Let us know if there’s ever anything we can do for you, we’ll be here!